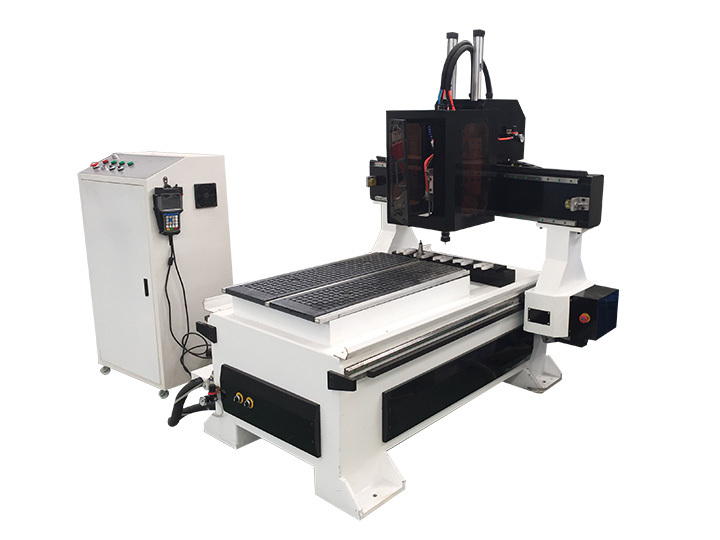 Small CNC router 6090 with ATC system (Automatic Tool Changer) is designed for someone who needs multiple tools for one project without enough space for a larger CNC router machine. Small CNC Router 6090 with ATC system is one entry-level CNC router for small-envelope projects. It is small enough to work for someone without enough space. 1. The spindles have water-cooling or air-cooling for different usage, If you need to cut aluminum, it is better to use water-colling spindle. If only for wood projects, the air-cooling spinlde is better. 2. 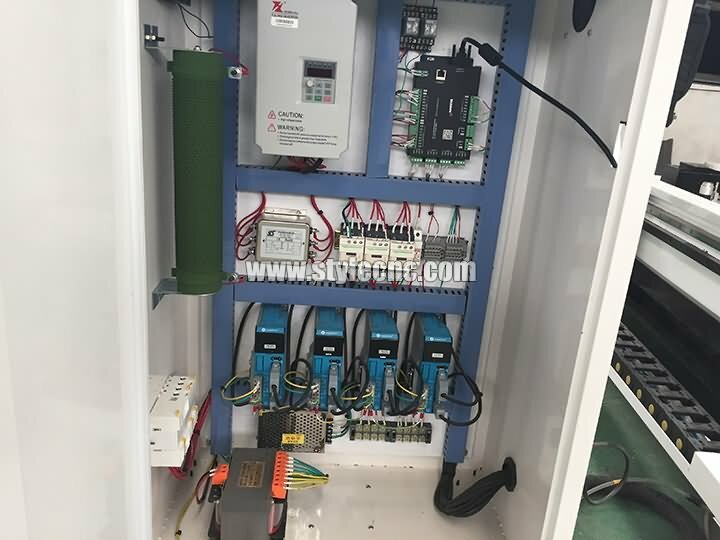 The control systems have Taiwan Syntec system, DSP control system and Mach3 system, it is depend on the price and functions. 3. 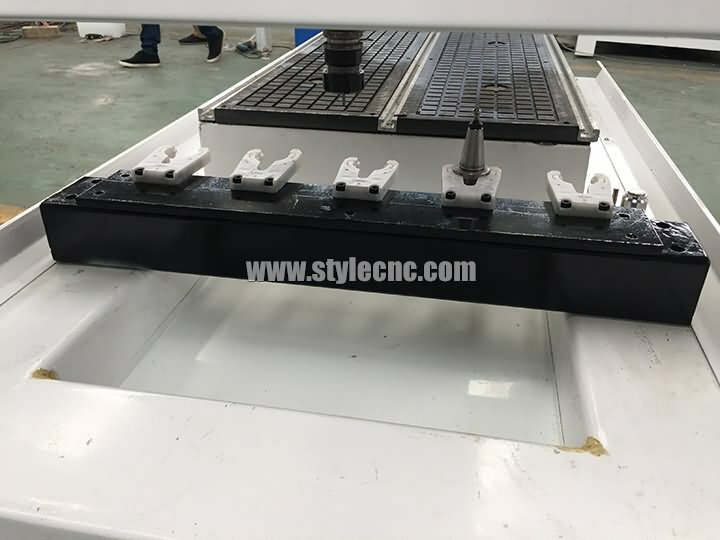 T-slot table and vacuum table for choose. 4. Welded structure by thick square steel stabilized under high temperature, ensures minimum distortion, excellent rigidity and powerful strength. 5. Automatic lubricating system, one touch can finish periodic maintenance easily. 6. Internationalized directives ensure that it is compatible with CAD / CAM software like Type3 / Artcam / Castmate / Proe / UG / Artcut. 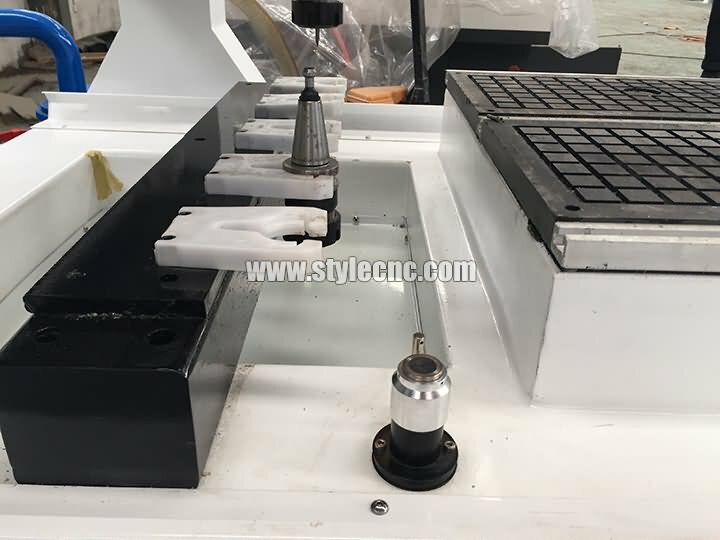 Small CNC router 6090 is suitable for Acrylics, artificial stone, artificial marble, woods, bamboos, organic boards, double-color board, PVC board, aluminum, brass and other materials processing. 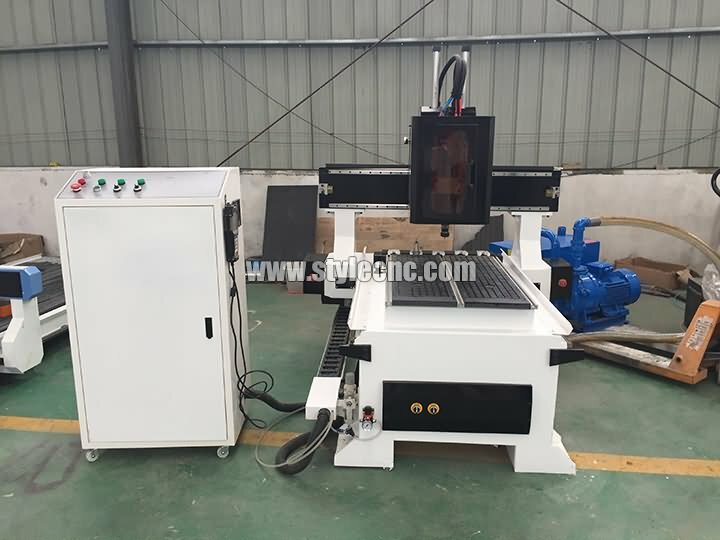 Small ATC CNC router 6090 is used in Woodworking industry, stone industry, advertising industry, artwork or decoration industry, electronica industry, mold industry and music industry, etc. 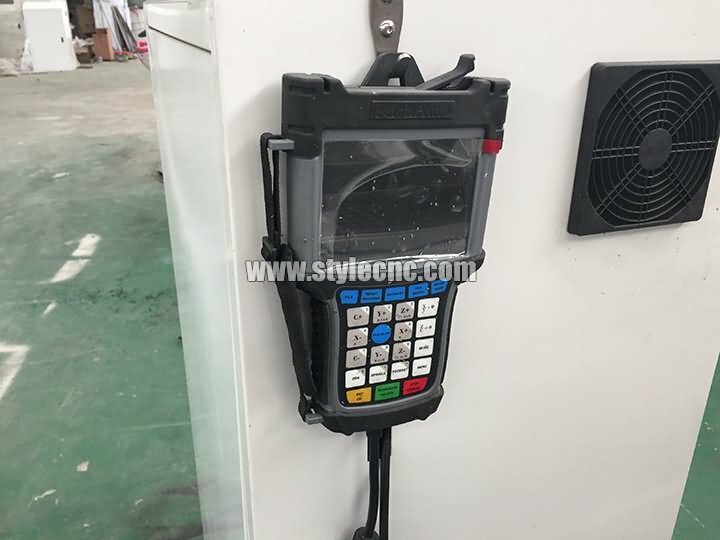 The electronic box to control the machine move and work. 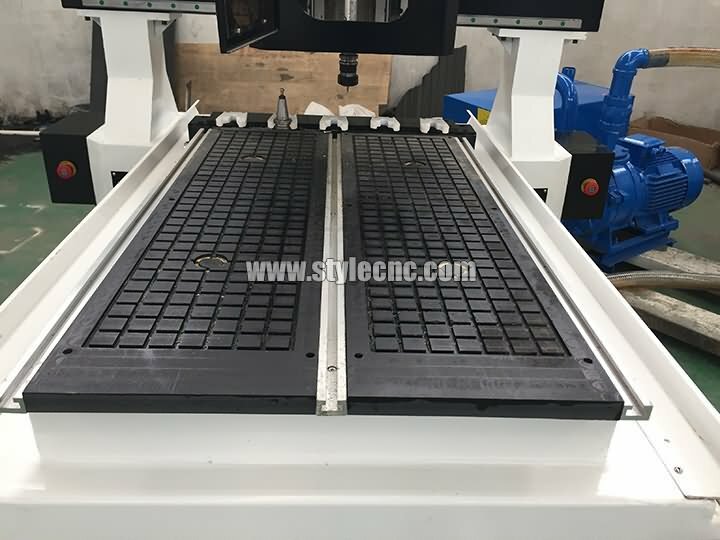 The ATC CNC router working area can be customized based on your work, our standard size is 600*900mm, 1200*1200mm, 1300*2500mm, 1500*3000mm and 2000*4000mm. 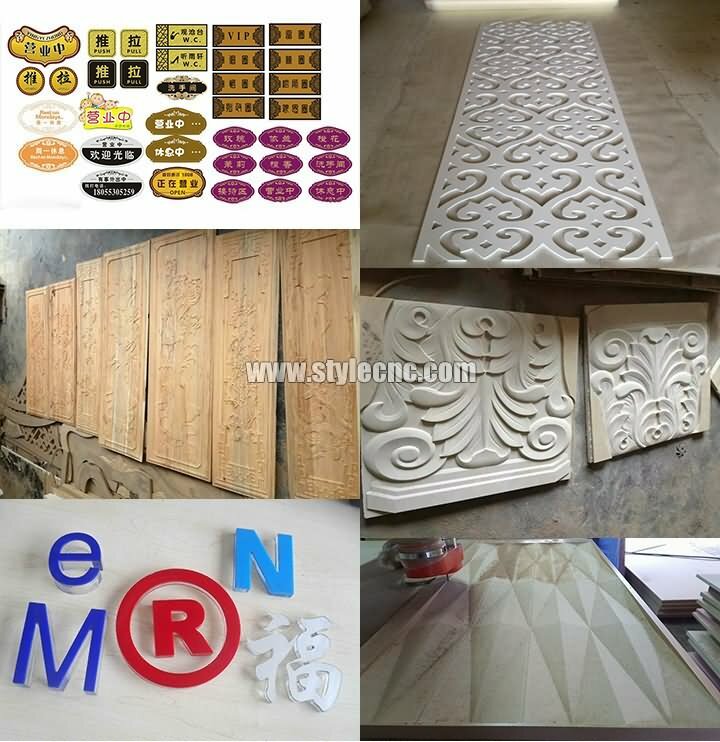 License: The text of "Small CNC Router 6090 with ATC System" by STYLECNC is licensed under a Creative Commons Attribution 4.0 International License. The small cnc router machine works perfectly. All the parts seem to be well made and high-quality. Overall, I think it's a great machine at a very reasonable price. I don't write reviews often, but I have to say this may be one of the best purchases I have made in a while. It's a real solid piece of equipment. The CNC router works wonderfully, I would definitely recommend. Good CNC Router Machine. Thank you for your prompt response to the appropriate shipping process and questions. I have now owned this small cnc router machine for almost 5 months. I use it on a daily basis and have made well over 2000 items, the machine is still going strong. I am very satisfied. The small CNC router works excellently. It's better than I expected.